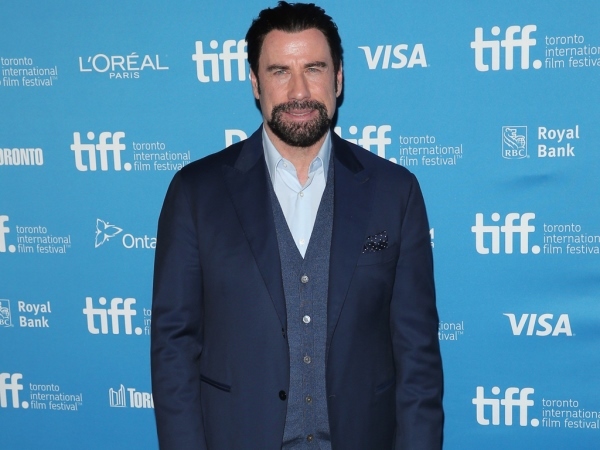 John Travolta views Scientology as an absolute lifesaver. The 61-year-old actor has been a follower of the controversial religion established by L. Ron Hubbard since 1975. And while promoting his new movie The Forger in a fresh interview with Good Morning America on Monday, John defended the Church of Scientology with gusto. “Sometimes, when something really works well, it becomes a target,” the star explained. “I think for me, 40 years now I’ve been a part of it and I loved every minute of it. “It’s a beautiful thing for me — I’ve saved lives with it, saved my own life several times, through the loss of my son [Jett] and it helps me every step of the way. John’s son Jett died in 2009 after suffering from a seizure. The Church of Scientology is receiving backlash from numerous critics currently because documentary Going Clear: Scientology and the Prison of Belief aired on HBO at the close of March. The feature documents the harrowing stories of former members of the church who decided to leave. Going Clear also sheds light on the secret inner workings of Scientology, with claims the highest church officials institute torture and abuse to keep members involved in the religion. John believes folks should read L. Ron Hubbard’s book Scientology: A New Slant On Life or Dianetics to get a clearer picture on what the religion is all about.